Books Are Just the Beginning and a good example of that is Cozad’s Wilson Public Library and NASA@MyLibrary program on Art and the Cosmic Connection on August 6. 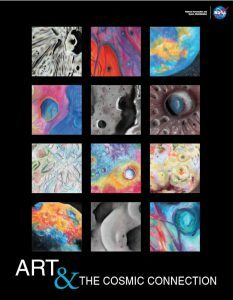 Created for NASA, this program allows library customers to examine breathtaking NASA images of different planets, moons, and small bodies, then use pastels to draw their own interpretation. There will be a brief presentation about how the geological features are formed before beginning to create your own picture. Learn elements of art to analyze space images with help from local teacher Vickie Gilbert. This program is suitable for ages 8 and up. Register by calling 308-784-2019. For more information see https://www.facebook.com/events/501338880288111.